SOR Lev-O-Gage mounted on the dash shows how far your vehicle is leaning one side or the other. 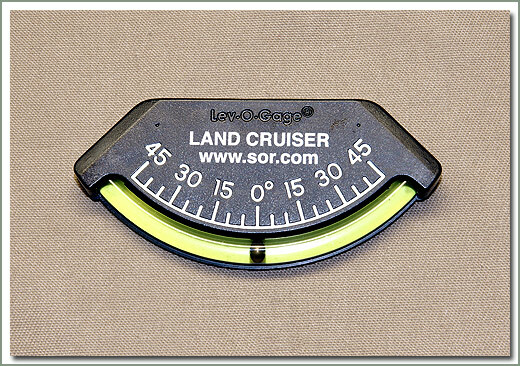 Mount a SOR Lev-O-Gage on your door to determine the angle of an uphill or downhill trail. Comes with self adhesive mount. It is 3.5 inches wide. Specter introduces the SOR Collapsible Pet Bowl. Folds down small enough to fit in your back pocket. Great for hiking, 4 wheeling or even trips in the car. 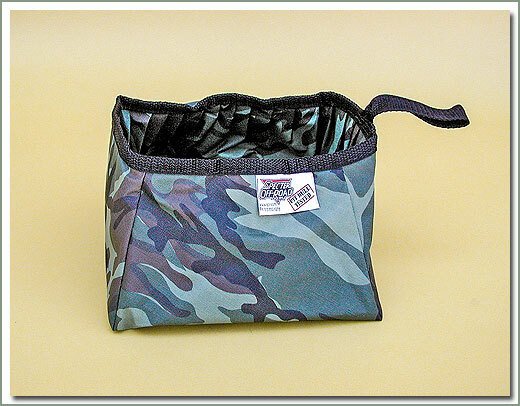 Made of durable water proof woodland camouflaged vinyl. Holds either water or food. Great gift idea.